Burnaby physician Dr. Ali Ghahary works with many patients suffering from depression and anxiety, conditions that often co-exist together. As many as 4.5 million Canadians aged 18 or older, as well as some younger children, are diagnosed with a mental disorder at least once in their lives, which can have a significant impact on their ability to lead normal and healthy lifestyles – including underperformances at work and school, as well as a steady decline in social interactions. Some of the common symptoms of depression and anxiety include panic attacks, feelings of hopelessness or worthlessness, loss of interest in once enjoyable activities, disturbances in sleep, changes in appetite and weight loss/gain. At Brentwood Medical Clinic in Burnaby, British Columbia, Dr. Ghahary works in combination with clinical psychologists and psychiatrists in helping patients come up with appropriate treatment plans specifically designed for them, usually consisting of medications in conjecture with behavioural therapy as well as lifestyle and habit changes. While medication is often successful as a standalone treatment, making some natural changes to one’s daily life is also recommended when dealing with mental health. First and foremost, setting goals, i.e. ‘What do I want to accomplish with my treatment?’ As depression can often interrupt the structure that you were once used to, discussing any goals you have with your physician, counselor, psychologist or psychiatrist will help pave the path to a successful outcome and help you with your future plans. In addition, goals can also be something small, such as doing the dishes every day or setting your alarm to wake up at a specific time every morning – which is also another key factor when dealing with depression and anxiety, as it can disrupt sleeping patterns. Trying not to take naps and ensuring you don’t surround yourself with any distractions (computers, television) will also help your sleep improve over time. To boost the brain’s feel-good chemicals known as endorphins, regular exercise is also helpful. Going for 20 to 30 minute walks a few times a week is a great way to alleviate symptoms associated to depression and anxiety. If outdoor activities aren’t your thing, joining a community centre with exercise equipment is another option. If you are one who has difficulty sleeping as mentioned above, there are also several 24-hour gyms in Canada that you may benefit from joining. As long as you are keeping fit somehow. You may also want to try taking on new responsibilities. Those suffering from depression tend to avoid taking on too much at once, and it often get in the way of school or work, but it is important to remain involved. If you previously worked full-time, think of re-entering the workforce by taking on a part-time job. You could also consider volunteering; helping others will make you feel good about yourself. When struggling with depression and anxiety, it is also important to avoid thinking negative thoughts. Naturally, we often jump to the worst possible conclusions, but that is especially so in individuals who are depressed. If you constantly tell yourself that you don’t feel good enough, try to change your thinking by listing all of the reasons why you are good enough, and remind yourself of all the things you have accomplished in the past and hope to accomplish in the future. By making these lifestyle changes and implementing new things, you are altering the dopamine levels in your brain, and in time you will find that you not only feel more energized and focused, but have more pleasure and enjoyment out of life. While most Burnaby residents will see their family physician once a year for their annual check-up, there are also a large number of Canadians that will make recurring visits to their doctor’s office as a result of complex and multifactorial health conditions. While many health conditions such as the common cold or flu are easily curable, complex or multifactorial disorders don’t have a single genetic cause, therefore oftentimes making them difficult to identify and treat, leaving the patient feeling vulnerable and frustrated – and, as a result, the patient can sometimes develop mood and mental health related changes, as well as social isolation. Along with treating patients on a walk-in basis, Canadian physicians like Dr. Ali Ghahary, a general practitioner at Brentwood Medical Clinic in Burnaby, BC, which is located just a few minutes outside of the city of Vancouver, spend a significant amount of time caring for patients who are living with chronic health problems – including but not limited to heart disease, diabetes, cancer, and chronic pain disorders such as fibromyalgia. These complex and multifactorial health conditions can affect individuals of all ages, with more than half of Canadian adults aged 65 and older being diagnosed with at least three or more chronic/ongoing medical problems. When caring for patients, Dr. Ali Ghahary pays particular attention to a number of factors including socioeconomic elements as well as the medical complexity – i.e. past medical history, the current level of pain that the patient may be experiencing, and the symptoms involved. Prescribing medications to patients living with numerous health problems is much more difficult and intricate than in patients who require simple treatment for something like influenza or skin lacerations. For example, a medication that may be beneficial in treating one ailment may in fact wind up making other ailments worse. If you are a patient living with a complex and multifactorial health condition, it is always important to have a sit-down discussion with your physician to talk about your treatment plan as it is a decision-making process that requires a trusting relationship between the doctor and patient. Your physician is able to answer any questions that you may have about your diagnosis and treatment plan, and remember, no question is ever considered to be a bad question. When dealing with chronic illness it is important to stay informed, and especially important to your physician that they address any concerns and inquisitions you may have. If you are concerned about a medication that you have been prescribed, this is something you are also urged to talk about with your physician or pharmacist, but know that the benefits usually often outweigh any risks involved. You should also let your doctor or pharmacist know of any side effects you may be experiencing as a result of a prescribed medication and whether or not the prescribed treatment is or is not working. Dr. Ali Ghahary practices family medicine at Brentwood Medical Clinic, a combined walk-in clinic and general practice in Vancouver, Canada. As part of his commitment to his patients and his profession, Dr. Ali Ghahary is a member of the College of Family Physicians of Canada. He also holds CCFP credentials from the college, which he attained in 2005. 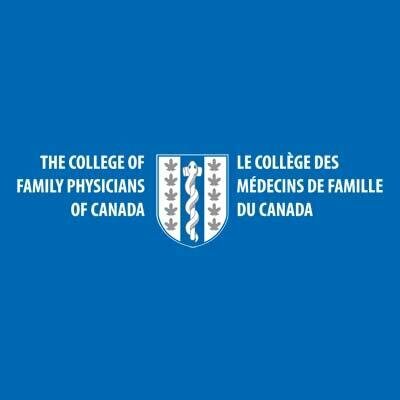 The College of Family Physicians of Canada (CFPC) represents family physicians and their patients across the nation. The organization believes in continuing, lifelong education for members, helping to ensure a high standard of care for Canadian families and children. Qualified members may choose to pursue certification in family medicine through the CFPC. The exam is open to those who have completed a residency or equivalent training program in family medicine. It is conducted twice annually, and available in both French and English. Successful completion of the exam results in a certification in family medicine, which entitles physicians to use the official CCFP (Certification in the College of Family Physicians) designation.